There have been several instances lately where people who are unfamiliar with Celiac Disease or the gluten-free diet ask me what I can eat. They ask with strange looks on their faces after hearing what I can’t eat. If you take a step back & look at the big picture, there is really a lot more food that I can eat than food that I have to avoid. It just happens that the foods that I have to avoid are the most commonly known & available foods. So while I was running this morning on the treadmill (yes, I ran 8 miles before 7 AM 😉 ) I thought that I would document my entire day of gluten-free eats for everyone to see. Pre-run snack – Banana that was not pictured because I hadn’t thought about doing this yet. 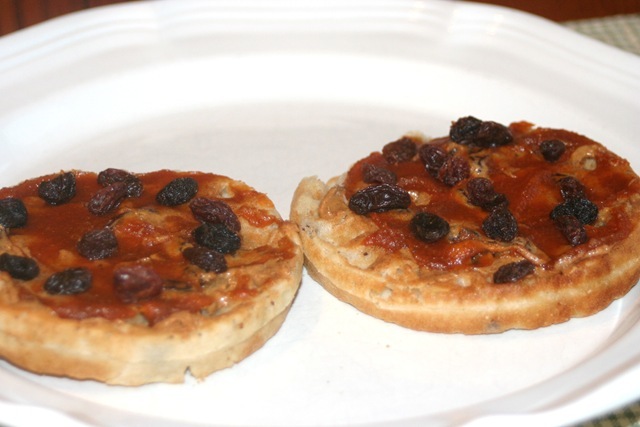 Breakfast – 2 Van’s Gluten -Free Blueberry Waffles topped with PB & Co’s Cinnamon Raisin Peanut Butter topped with Pumpkin Butter and more raisins. 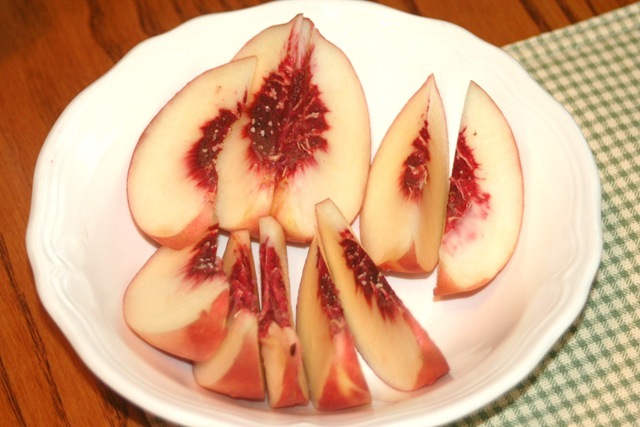 On the side I had a juicy white peach! YUM!! 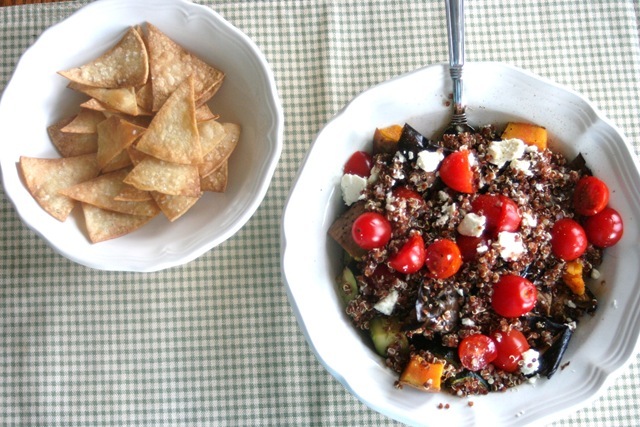 Lunch – Homemade corn tortilla chips (bake with Pam & sea salt at 350 for 10 min or less); Red quinoa (double the fiber of regular quinoa) topped with leftover half of a sweet potato & grilled veggies (eggplant, zucchini & okra), feta cheese & Frank’s Red Hot. Dessert – Handful of dark chocolate covered cranberries & blueberries from Anthony Thomas (forgot to snap a picture of these). Dinner – Large salad w/mixed greens, cuke, tomato, carrot, radishes, pine nuts, dried apricots and Fat Free French dressing; Trader Joe’s GF French Roll topped with fresh sliced mozzarella, fresh basil, tomatoes & balsamic vinaigrette then broiled; the rest of my grilled veggies (eggplant, asparagus, zucchini & okra). Small glass (2-3 oz) of what was left of a bottle of Cabernet Sauvignon. Dessert – Scoop of Turkey Hill Banana Split Ice Cream (OMG…TDF!) 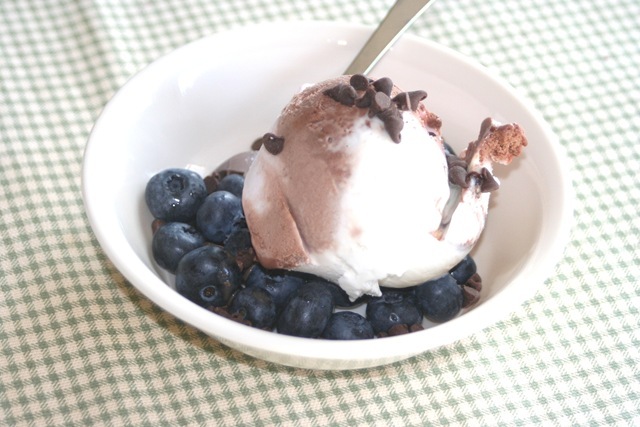 topped with blueberries & mini chocolate chips. Think I am full now! Because it is summer, I have been incorporating all kinds of fresh fruit & veggies into my meals. Not only do I love my fruits & veggies, but they are naturally gluten-free, which is a huge bonus in my book. It is no secret that I love food. To feed my fascination for food, I read many food blogs to get ideas for new things to bake or cook. 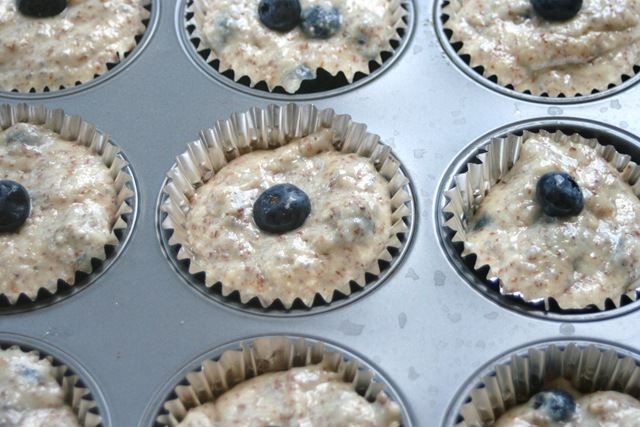 I happened upon a recipe the other day for Blueberry Chia Muffins over at Another Bites the Crust’s blog. First, love the name of the blog, how clever! 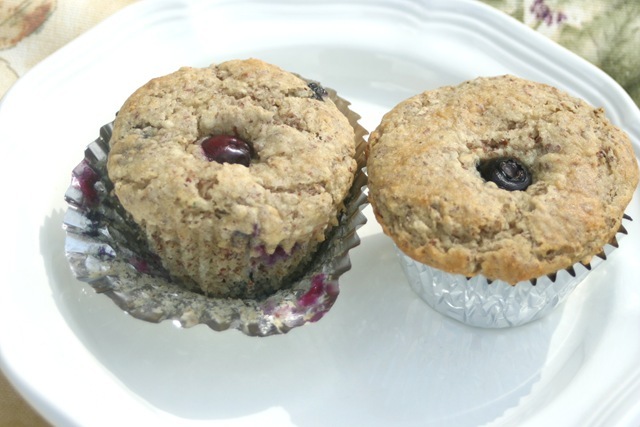 😉 The muffins looked so good in the picture and I had a bunch of fresh blueberries, so off I went to make some changes to convert this recipe to gluten-free. Preheat the oven to 350 degrees. Combine chia seeds in water until it forms a gel-like substance. Mix all dry ingredients in a large bowl and stir to combine. In a separate bowl, mix the wet ingredients together. Add the wet ingredients to the dry. Fold in blueberries. 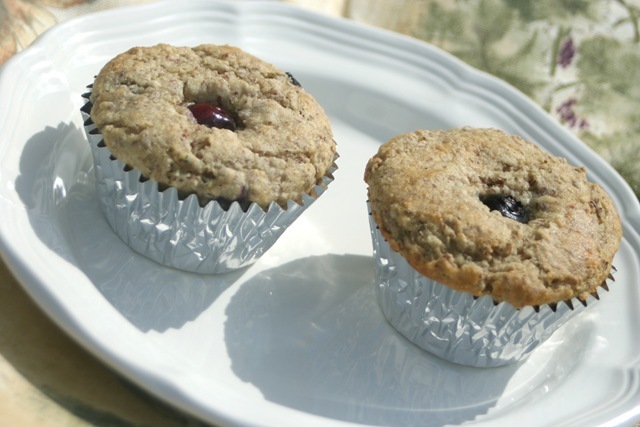 Bake in lined muffin tins for 15 to 20 minutes. Check with a toothpick inserted into the center for doneness. WOW!!! These are amazing!!! Guess who ate them & loved them? Mr. I-don’t-like-blueberries, none other than Jon, himself. I couldn’t tell him about the other ingredients or he wouldn’t have touched them! HA!! Super healthy! Jon asked me to make them into banana nut muffins next time. I feel an experiment coming soon! **If you want to make these non-gluten-free, just replace the Pamela’s mix with whole wheat flour. I love this event that Dianne over at The Whole Gang hosts every Friday. This week the ingredient is eggplant…ooh…one of my favs!! I buy at least 1 eggplant per week and love to eat it roasted with other veggies. I slice the eggplant in rounds and place paper towels on each side and then pound with a frying pan to help lessen the bitterness. I found this tip on another food blog (though I don’t remember where….I am getting old!) and it really works. Then I slice into chunks or leave in rounds. After they are in the shape I want, I toss in some olive oil (EVOO as Rachael Ray says), sea salt & pepper. Then I roast in the oven at 375 or so for 20-40 minutes. 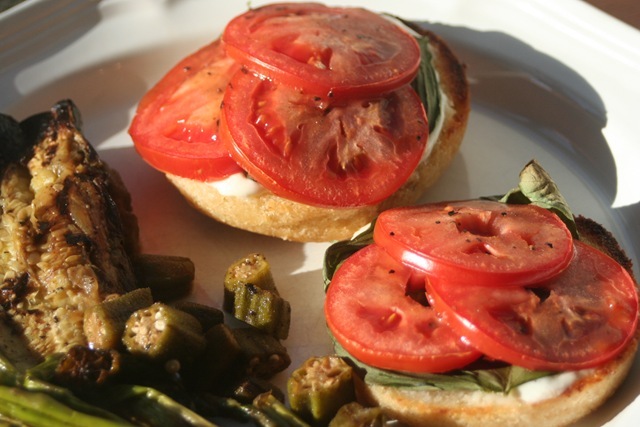 I have also grilled in place of roasting & they turn out great! Another idea? Cut the eggplant lengthwise and then use a the base for a burger and top with your choice of toppings & then top with another slice of eggplant. Here is a favorite, simple recipe I use for eggplant. 2. Slice eggplant & zucchini. 3. Spread sauce in the bottom of a glass pyrex dish. 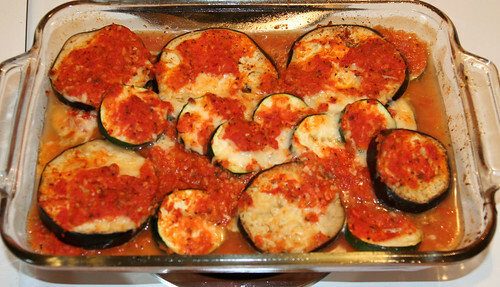 Start to layer eggplant & zucchini and cheeses with sauce. Repeat until ingredients are gone. 4. Bake at least 30 minutes. Test the eggplant with a fork, it should be soft. Broil for a couple minutes to brown up the top. **I have seen a variation of this recipe with ricotta cheese too. That would make it more a meal, suitable for vegetarians. If you read my blog on a regular basis, you may have noticed some changes over the past 2 days or so. I had to do some rearranging of my pages to fit some new stuff in. I hope there hasn’t been too much confusion. If you happen to notice something that you think needs fixed, please do not hesitate to let me know. This is a work in progress. During this transition, I am also working on my recipes page. I hope to link all my recipes in this one location to make them easier to find for myself and for all of you as well. It will take some time, but hopefully not too long. Thank you for your patience and for reading Gluten-free is Life. 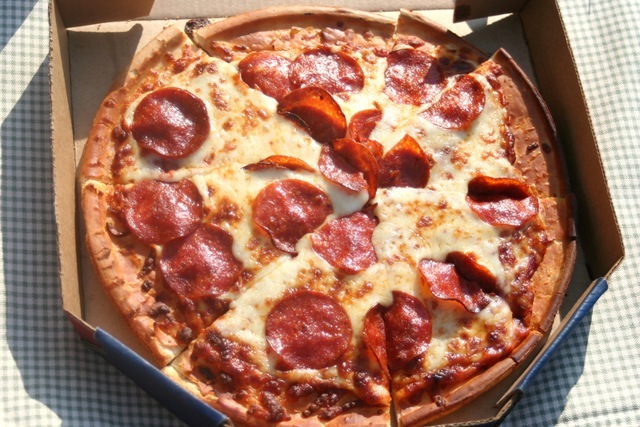 Take-out pizza. 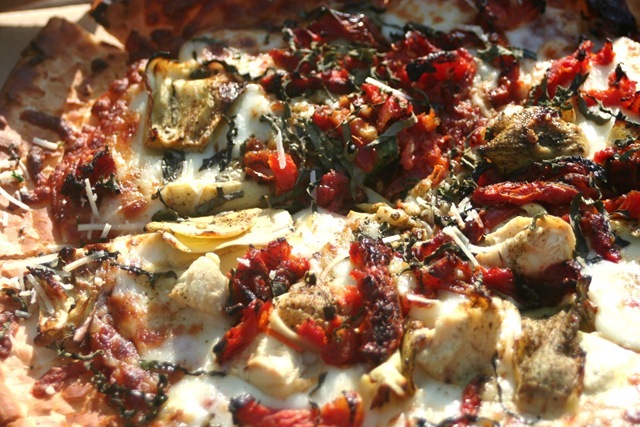 When is the last time you had take-out pizza that was gluten-free? I can tell you when I last had it. Never. Well, not until tonight, that is. 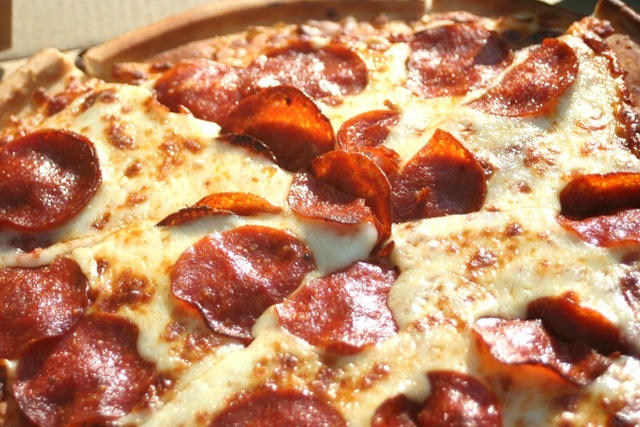 Sure, Donato’s Pizza makes a “No Dough” pizza, but it is not the same. There is no “crust”. The “No Dough” is either a soy crisp with sauce, cheese & toppings or sauce, cheese & toppings on a plate. Not my idea of take-out pizza. 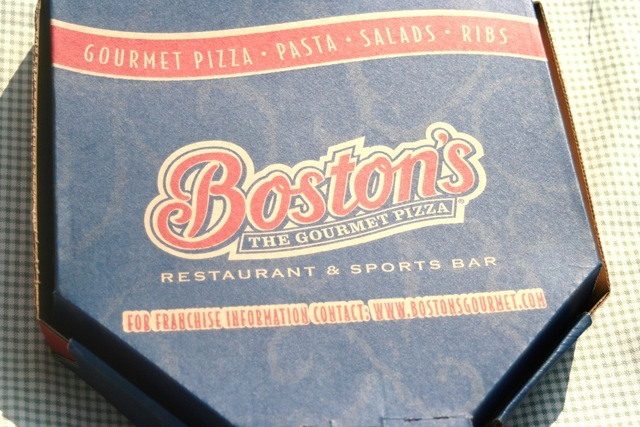 Enter: Boston’s, The Gourmet Pizza. Boston’s has locations throughout the United States, with 2 locations in Ohio. One of the Ohio locations happens to be right next door to my husband’s office, so I asked nicely if he could bring home some take-out for us. 🙂 Of course, he did! Jon ordered the pepperoni & cheese pizza, I ordered the Florentine pizza. 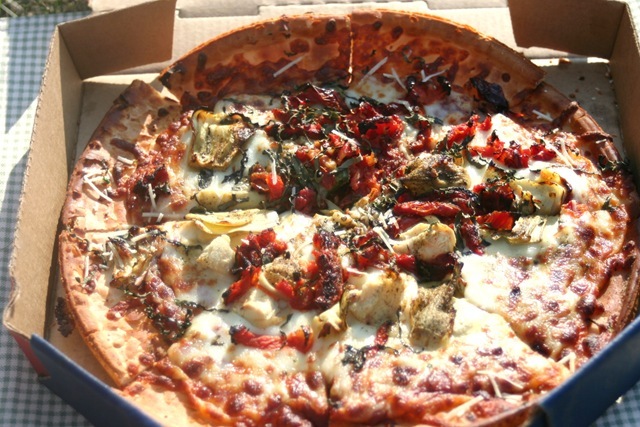 My pizza was topped with Boston’s special pizza sauce, fresh spinach and basil, mozzarella cheese, artichokes, sun-dried tomatoes, roasted garlic and freshly grated parmesan cheese. The pizza were a little under 10 inches (the gluten-free pizza only comes in a size small). There are many choices for toppings on the menu. So, the part you have all been waiting for. How was it? In a word…..phenomenal! WOW!! Seriously, I am super impressed. The toppings were plentiful & flavorful. The crust was thin and crisp and held the weight of the toppings! Jon ate his entire pizza by himself!! I ate half and had a large salad on the side. I wanted to save some for lunch tomorrow! 🙂 I would definitely recommend Boston’s to anyone, gluten-free or not. They have additional menu items for those who are not gluten-free, including pastas & grill items. ***Editing to add some pricing information. The cost of 2 small, gluten-free pizzas from Boston’s was $26.00. Aaron was a little shocked by the price. I found it to be in line with the price of Uno Chicago Grill’s GF Pizza and the Take-N-Bake Pizza from Holiday Baking Company. 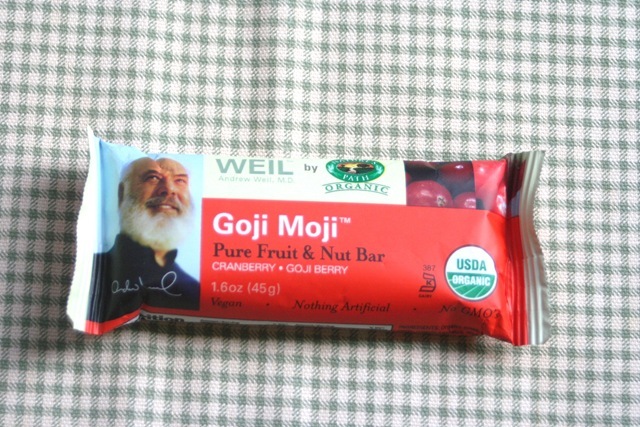 Check out Megan’s Chobani giveaway. Check out my new articles over at The Examiner. Hope you all have a great Monday! I think we are heading to the pool! Can you believe it is the end of July already? Where did this year go? Seriously? It seems like summer just started! My baby girl is turning 7 in about 10 days and is going to start 2nd grade. 😦 The kids are growing way too fast. This will be a busy week. Tomorrow, Grandma Linda is coming to visit and we are going to lounge at the pool. FUN times!! Ice skating on Wednesday night, a Zoo trip in there, library and maybe an indoor activity in case of rain, too. I would love to take the kids to tour a local dairy. Saturday is the yearly cookout for Hannah’s b-day. Sunday ~ Rotisserie Chicken night! WOOHOO!! 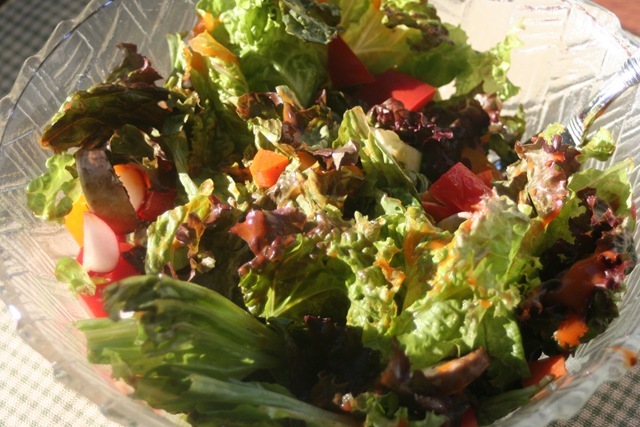 Fresh green beans & salad, too. Saturday~ Cookout with burgers, grilled chicken, baked beans, corn on the cob, salad & fruit skewers. 1. At least 30 minutes before you want to serve, halve the unpeeled cucumber lengthwise. Scrape out the seeds and cut the halves across into thick chunks. 2. Place the cucumber pieces in a bowl and sprinkle with salt. Mix well and leave for 30 minutes. At the end of this time, add the sugar, vinegar and chili oil. Mix well. 3. Just before serving, sprinkle with the sesame oil. Esther, at Lilac Kitchen is hosting the Gluten-Free Menu Swap this week. Her ingredient of the week is cucumber! That is one of the reasons I decided to make that salad this week. YUM! Thanks for hosting, Esther. 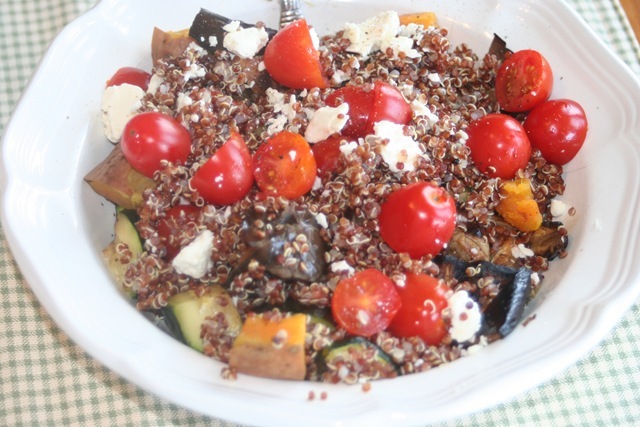 Also, don’t forget to check out lots more menu plan ideas at Orgjunkie.